Today in Masonic History Ernest Lundeen is born in 1878. Ernest Lundeen was an American politician. Lundeen was born on August 4th, 1878 in Brooklyn Township, South Dakota. Most of his siblings passed away in an 1880's diphtheria epidemic. In 1896, he moved with his family to Harcourt, Iowa and then to Minnesota. He graduated from Carleton College in 1901. He then went to University of Minnesota Law School. In 1906 he was admitted to the bar. During the Spanish-American War, Lundeen served in the United States Army. From 1911 to 1914, Lundeen served in the Minnesota House of Representatives. From 1917 to 1919 he served in the United States House of Representatives. In one of his initial votes in Congress he joined 50 other Congressmen in voting against declaring war against Germany. In 1933 he returned to the United States House of Representatives serving until 1937. In 1936, Lundeen was elected to the United States Senate. During his time in the Senate he continued to be supportive of Germany and would often let George Sylvester Viereck, a German poet and Nazi Propagandist, use his office. 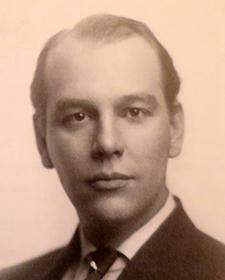 Viereck would also write speeches for Lundeen while working with the German Embassy. On August 31st, 1940, Lundeen was on a flight from Washington, D.C. to Detroit. The plane flew into turbulence from a thunderstorm. The plane crashed and all 25 people on board, including Lundeen were killed in the crash. Lundeen was a member of Minneapolis Lodge No. 19 in Minneapolis, Minnesota. He was also a member of Zuhrah Shrine Temple, also in Minneapolis.